The year 2017 is definitely The Year Of AMD Rising, with the launch of the AMD Ryzen 5 and Ryzen 7 processors and the forthcoming launch of AMD Radeon Vega. Even before the Radeon Vega arrives, AMD introduced the AMD Radeon RX 500 Series graphics cards. The 34 New AMD Ryzen 7 Motherboards Revealed! The 15 New AMD Ryzen CPU Coolers Revealed! But in case you are not in the mood for so much reading, James Prior and Korhan Erenben from AMD are here to explain it all to you. 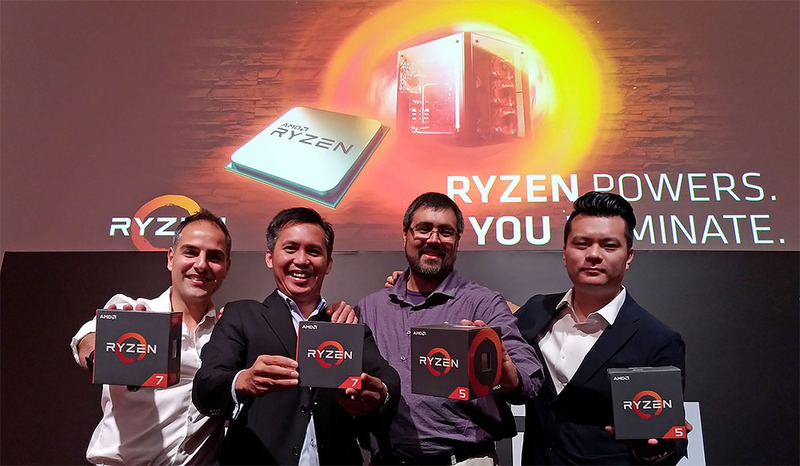 In this video, James Prior, Product Manager for AMD Client Desktop, reveals the key features and benefits of the new AMD Ryzen 5 processors, as well as the AMD AM4 motherboard chipsets. The new AMD Zen core delivers 52% more instructions per clock than the previous generation Excavator core. The AMD Ryzen 7 processors took on the Intel Core i7 Kaby Lake processors, delivering better performance at much lower price points. The AMD Ryzen 5 processors, similarly, deliver better performance at lower price points, than their Intel Core i5 Kaby Lake rivals. Unlike Intel Core processors, every AMD Ryzen processor is multiplier-unlocked for overclocking flexibility. All desktop (non-SFF) AMD AM4 chipsets and motherboards feature native USB 3.1 Gen 2 support. The AMD Ryzen 3 series will arrive in 2H 2017. In this video, Korhan Erenben, Channel Business Development Manager for AMD’s Radeon Technologies Group, explains the value proposition of the new Radeon RX 500 Series graphics cards. Dubbed Polaris Evolved, the AMD Radeon RX 500 Series is targeted at gamers with older (pre-2016) graphics cards. The Radeon RX 500 Series offers the latest 14 nm FinFET process technology, higher clock speeds, hardware H.265 encoding and decoding capability, as well as enhanced idle and multi-monitor efficiency through Radeon Chill and Radeon FreeSync. Radeon Chill improves response times while reducing power consumption and thermal output of AMD Radeon graphics cards. Radeon ReLive, that was introduced recently, is an end-to-end recording and streaming software supports all of the top streaming codecs. Radeon ReLive is GPU-optimised and allows for smooth game streaming without stuttering.